Peanuts were introduced to the U.S. by American scientist Dr. George Washington Carver in the late 1860s to improve soil and break the cycle of disease hampering soil fertility in the southeast of the country. Dr. Carver discovered more than 300 uses for the peanut plant, many of these forming nutritious components of the American diet. The U.S. peanut industry continues to improve on Dr. Carver’s vision today with further advancements in the sustainability of peanuts. Peanuts are naturally sustainable. Originally introduced as a nitrogen-fixing rotation crop for cotton, they replenish soil with the essential nitrogen depleted by other crops. This means that less fertilizer is needed to grow peanuts, as well as the subsequent rotation crop, resulting in less greenhouse gas emissions. Peanuts are a deep-rooting crop with roots that reach nearly two meters into the soil. This allows access to a substantial bank of water to draw from, potentially reducing the amount of irrigation water needed. In fact, most U.S. peanuts do not require irrigation at all because they are grown in the southeast regions of the U.S. and have the benefit of plentiful rain. The peanut industry has also allocated more than €2.2 million ($2.5 million) to research projects specifically addressing water use management and efficiency, irrigation practices and drought tolerance. New advances in seed breeding are playing a key role in sustainability. As a result, new, more sustainable peanut varieties – particularly those that increase yields and improve land resource efficiency without increasing water consumption, GHG emissions, and pesticides—are becoming available for American peanut farmers. This means peanuts will have an even lower environmental impact in the future. American peanut farmers have always been good stewards of the land; most peanut farms are family-owned and passed from one generation to the next. With 7 grams of protein per serving, peanuts are an excellent source of plant-based protein and can help provide needed nutrients while reducing the amount of cholesterol in the diet. One serving of dry-roasted peanuts (30 grams) contains 12 grams of unsaturated fat, only two grams of saturated fat, and no trans-fat. Peanuts are a key ingredient in ready-to-use therapeutic food (RUTF), which has revolutionized the treatment of severe acute malnutrition among children in developing countries around the world..
Sound practices for production, storage and shipment of U.S. peanuts help to keep aflatoxin at reduced levels, guaranteeing consumers a safe food supply. There are currently no genetically modified peanuts in the U.S. market. 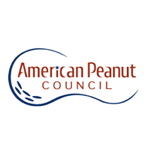 The American peanut industry actively supports scientific research on effective measures which may reduce or even eliminate peanut allergy in the future. In fact, the National Peanut Board has funded more than €10.4 million ($12 million) in food allergy research, education and outreach to help identify causes and seek treatments for food allergy sufferers. Peanuts are a nutrient-rich food, having more than 30 vitamins and minerals high in vitamin E, copper, folate and fiber. Peanuts are an affordable and nutritious culinary staple in diets worldwide. Peanut butter is the most requested food in USA food banks. There are approximately 7,500 peanut farmers in the major peanut producing regions of the U.S.
U.S. peanut farmers produce more than 3.1 million tonnes of peanuts annually on approximately 634,000 hectares (1,566 acres). The U.S. is the world’s third-largest peanut producer. The peanut growing regions of the U.S. have direct access to the port facilities of the Atlantic Ocean and the Gulf of Mexico. The U.S. is one of the world’s leading peanut exporters, with annual exports averaging between 400,000 – 500,000 tonnes. Canada, Mexico, Europe, and Japan account for over 80% of U.S. exports. Peanuts are the seventh most valuable crop in the U.S. with a farm value of more than €867 million ($1 billion). Peanut butter is a staple food item in 94% of U.S. households due to its nutrition, affordability, shelf-stability, portability and taste.